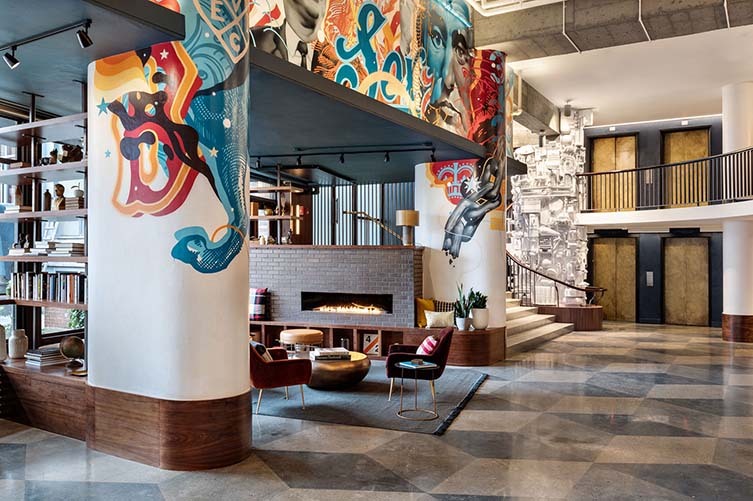 Housed in a listed building that dates back to the 1880s, with mid-century modern additions made to one of the first YWCAs in the United States after WWII, new Boston pad The Revolution Hotel is set to evoke the rebellious spirit the city has proudly nurtured since the 1775 American Revolution—through the integration of art and installations, Boston-specific events, and an innovative creativity-focussed hotel experience. 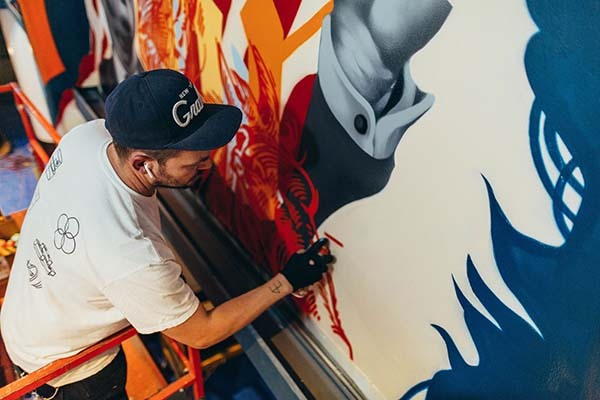 Street artist Tristan Eaton throwing up the 65 ft mural for The Revolution Hotel’s imposing lobby. 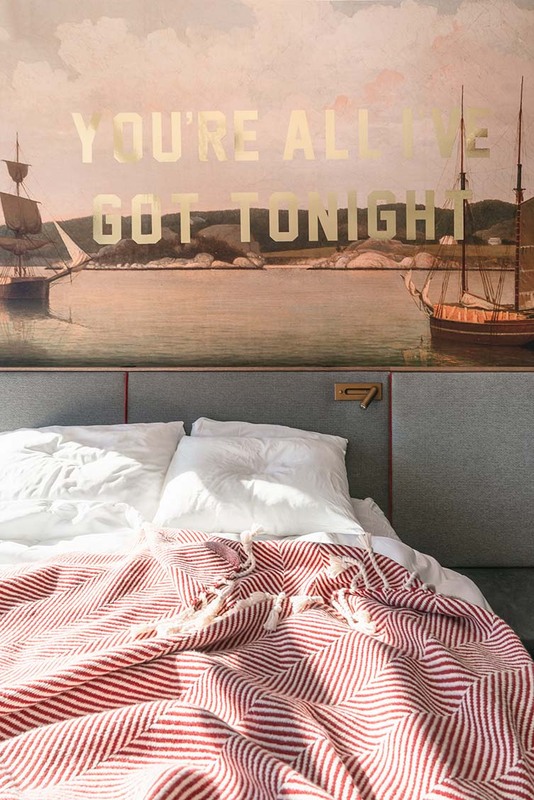 With branding, design, art curation and the strategic vision created and led by local multi-disciplinary consultancy Adam&Co.—whose clients past and present include MoMA, Nike, Pharrell Williams and Beyonce—the property houses a variety of rooms that differ in size and layout and, despite the fact that some have bunkbeds and the majority have shared bathrooms, the overall feel is definitely more luxe than hostel; the added bonus of bathrobes and slippers making your stay all the more decadent. 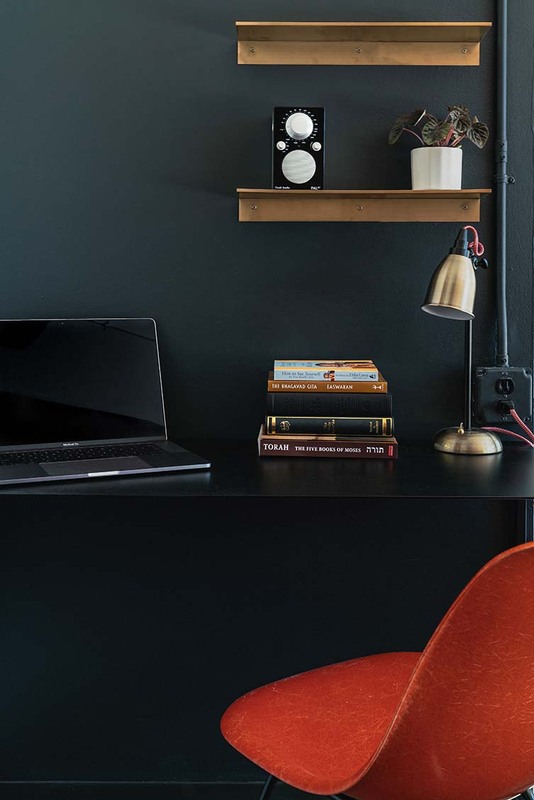 Minimal furnishings, a light colour palette and contemporary art make the smaller rooms feel more spacious, whilst those who want to splash the cash can book one of The Revolution Lofts which—ranging from 250—400 sq ft—feature a cooktop with hot water kettle, and a revved-up pantry experience complete with full-size specialty Boston provisions and honour bar. 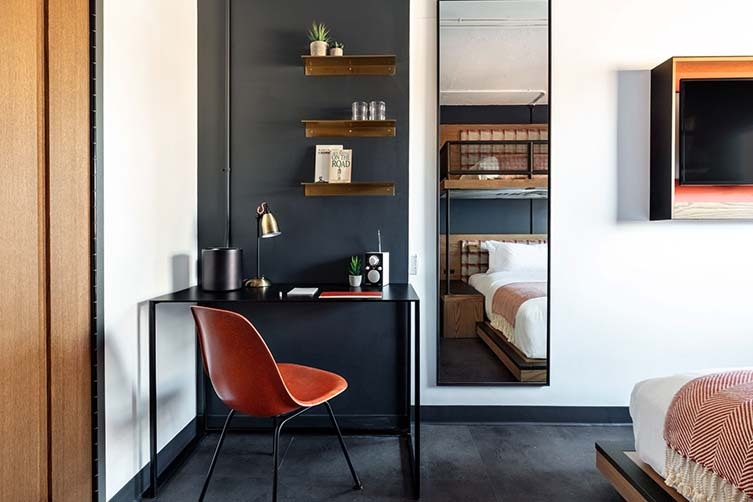 Located in Boston’s South End, close to Back Bay with its designer boutiques and high-end eateries, The Revolution Hotel is managed by Provenance Hotels and thus boasts many amenities synonymous with the boutique hotel management company. 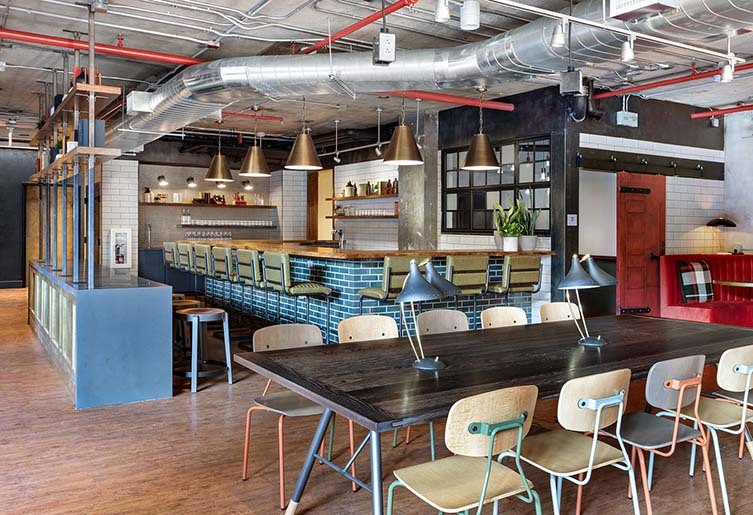 Revolution also offers a shared workspace for guests and locals alike to stay on top of their workloads, serving complimentary coffee by day and beer and wine for the night owls, you’ll also find a café, forthcoming restaurant and gym. 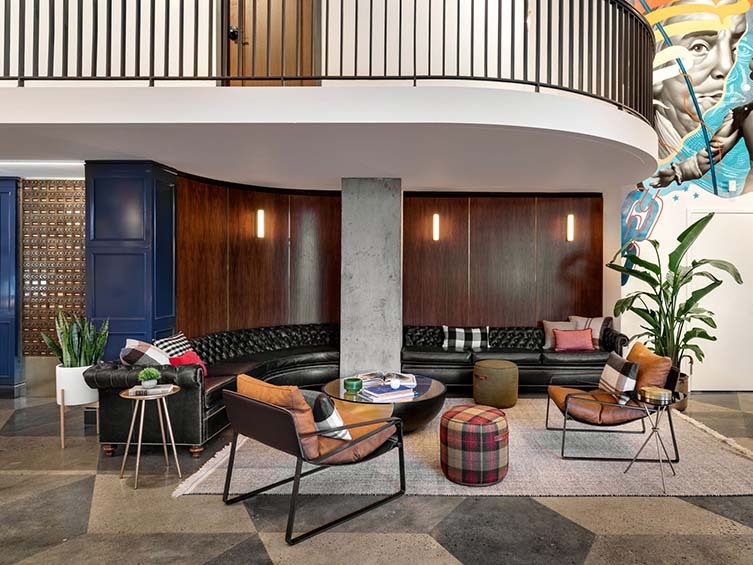 A first-of-its-kind boutique property in Boston’s historic South End, Adam&Co. 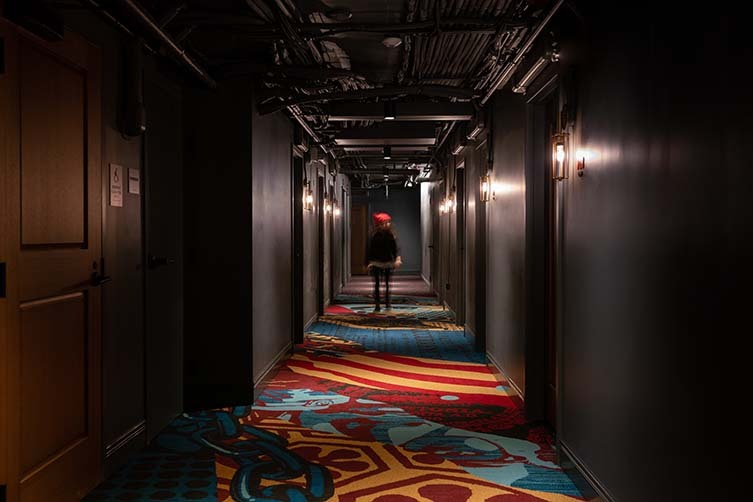 have built a dynamic hotel from the ground up; commissioning the likes of renowned street artist Tristan Eaton who created a 65 ft mural for the lobby, as well as designing custom carpeting that lines the halls of the guest floors. 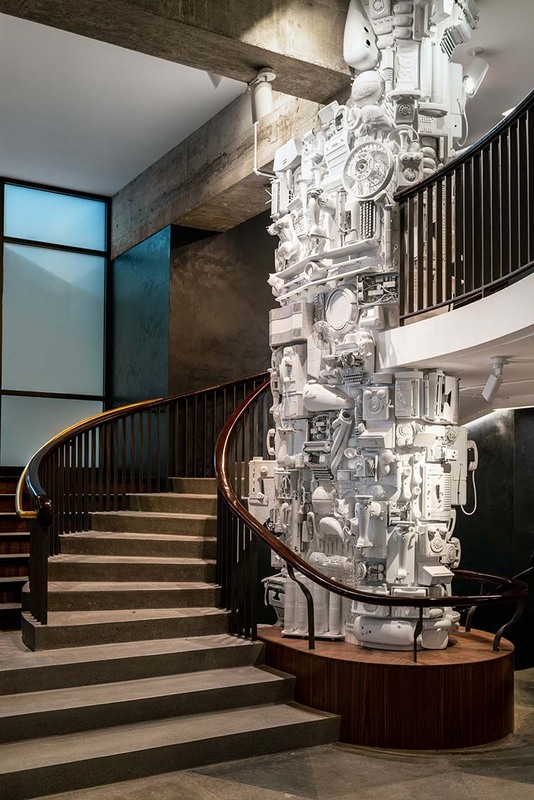 Accompanying Eaton’s mural is an impressive three-storey sculptural installation by Boston-based Individuals Collective called the ‘Innovation Tower’, including everything from microwaves and car parts to old computers, microchips, transmitters, telephones, safety razors, Converse sneakers, basketballs, volleyballs, and typewriters. 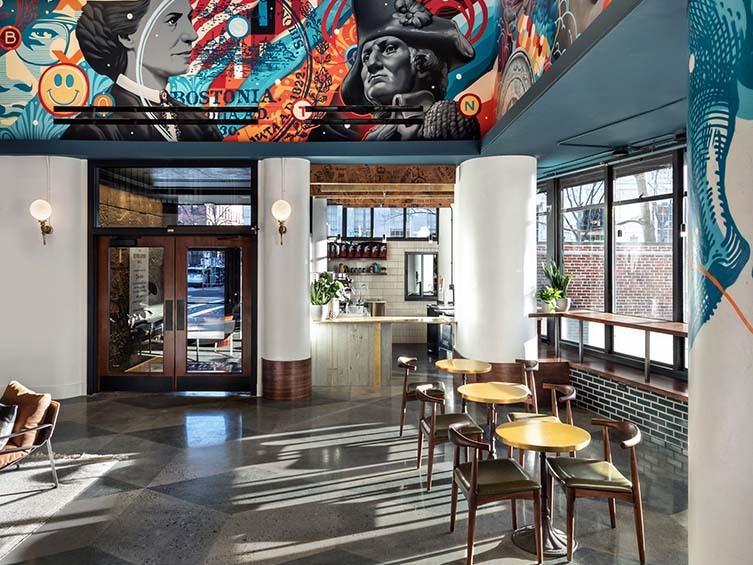 Adam&Co.-designed custom wallpapers and custom stencil murals throughout ensure the monumental installations are not the only creative interventions, giving Revolution a sense of cultural spirit from top to bottom. 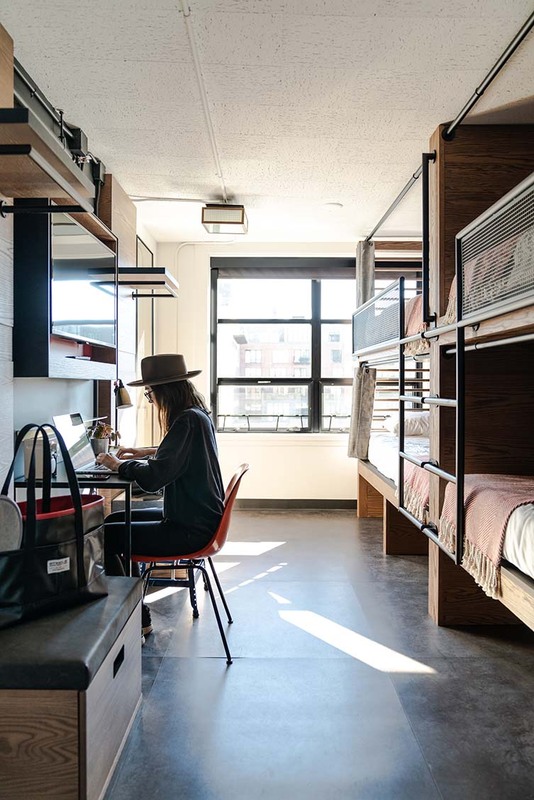 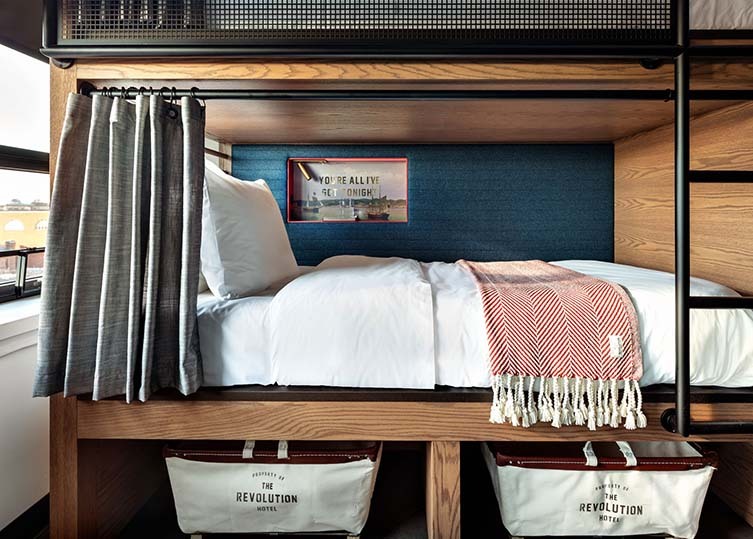 Innovative and rebellious, The Revolution Hotel, Boston, is a shining light for the city they call Beantown and a lure for creatively unconventional travellers the world over. 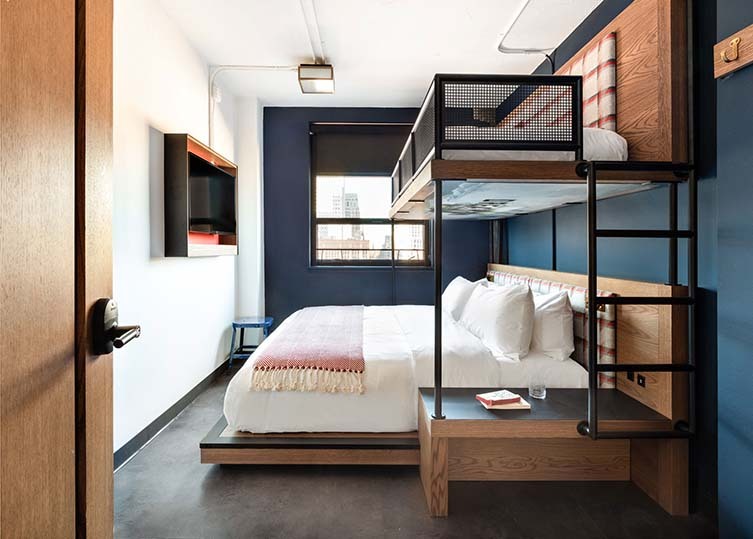 The Revolution Hotel Photography, courtesy Adam&Co.